KARACHI: Students and teachers of DJ Science College held a protest on Wednesday against the illegal allotment of the residence of the college’s principal by the Sindh education department, as reported by a local English daily. 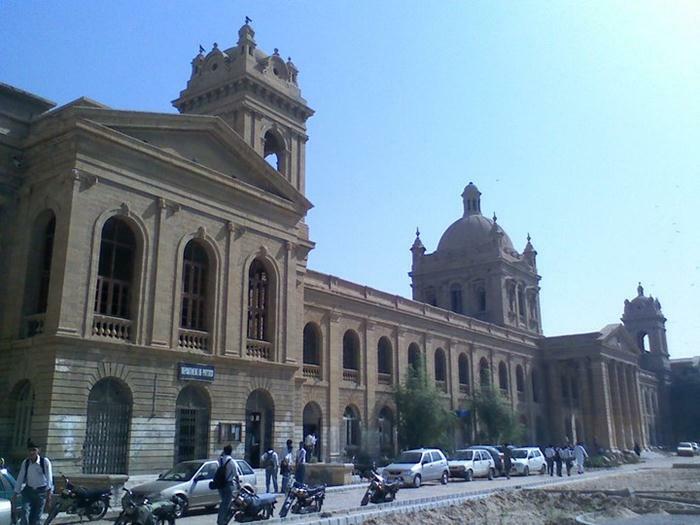 The protestors requested the Chief Minister Murad Ali Shah, who is an alumnus of the college, to save the heritage building of the principal’s residence from the mafia. According to one of the protestors, the directorate office of human resources and training of the education department are already occupying the building and they have now issued letters to the residents of the servant quarters notifying that they are expanding their offices. A teacher said that the principal’s residence was converted into a classroom some time ago, due to the shortage of classrooms that the college was facing but during the last Pakistan Peoples Party government, the then education minister, Pir Mazharul Haq, set up the camp office of the Sindh Text Book Board in the residence as well. He said that now the building has been allocated to the human resources and training director-general which is a complete violation of the rules. He also said that despite the fact that the college falls under the domain of the colleges’ secretary, the notification for the allotment of the principal’s residence has been issued by the school’s secretary.